Passivhaus prioritises reducing operational energy consumption to create comfy healthy indoor environments. One of the standards strengths is it's design flexibility - A Passivhaus can be built out of anything. But as we awaken to the perils of plastic, is that still acceptable and should the Standard develop low plastic, low carbon specifications? The impacts and implications of our use of plastic in construction are just beginning to be understood. These impacts span across the whole life cycle from extraction, manufacturing, to toxicity and fire e.g. hydrogen cyanide and continue through to end of life. The construction industry is the second largest user of plastic, with 20% of plastic waste coming from the construction sector. It is estimated we produce globally 300MT of plastic annually with 50% of this being single use. Piping and conduit are the largest users of polymers in construction and consume 35% of production. In the UK, many airtightness strategies are reliant on plastic tapes, membranes & gaskets, so are plastic-free Passivhaus buildings even plausible? 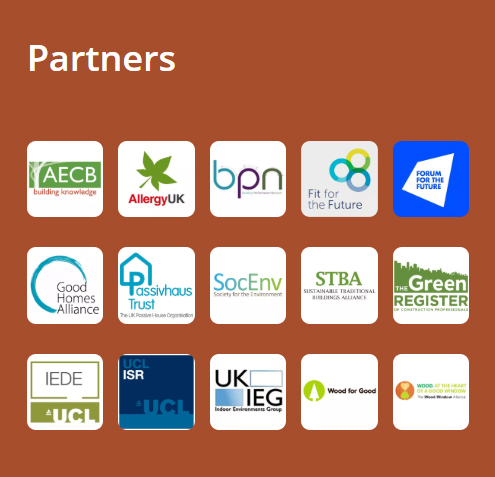 The Trust have partnered with the Alliance for Sustainable Building Products (ASBP) to deliver an event that will take a holistic view, exploring the impacts of plastic products on the health of both people and the planet. New year offer: 10% off tickets until 31st January 2019 using code ‘HB19NEWYEAR’ (excludes Buy-1-Get-1-Free offer below). Bookings are to be made via the ASBP website. Buy-1-Get-1-FREE: A limited number of Buy-1-Get-1-Free tickets are available for PHT members and #HealthyBuilding2019 partners and sponsors. Tickets, while they last, can be booked via the '2 for £150' option on the ASBP website. Tickets can be booked via the online booking form on the ASBP website.